Our specialists have the opportunity to show clients their screen directly in the system. It is displayed in a browser window without installing additional software. This feature will be useful for the remote setting up of Metacommerce and learning how to work with the platform. If you need it, we will be happy to conduct it remotely. An e-mail with a link to activate your account will come to the specified e-mail after creating an account in the Metacommerce system. Contact your account manager to assign the Administrator role. The possibility to display currency and units of measurement, as well as filter only those products for which there is a Base Price appeared in the Base Price column of the Data module. Tick is necessary in the “assortment units of measurement” field, if the quantity of products in your package differs from the quantity of products that you monitor. For example, you sell a coconut drink in a package of 10 bottles, and your competitor sells a package of 15 bottles. In the absence of a tick in the “assortment units of measurement” field, the competitor’s price of 1 bottle will be displayed in the Base price cell, and if the tick is added, the price of 10 bottles (in accordance with your packaging) will be displayed in the cell. When exporting data, the price value in the Excel file will remain in numeric format. We have updated the design of the pop-up with detailed information about the product and the matching method in the Data module. 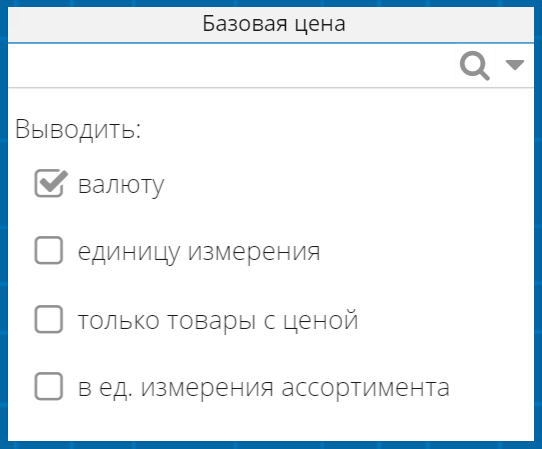 In addition, the closing of the information window is now carried out by clicking on any area outside the tooltip.